In the ten game spell since Fabio Capello quit as England football manager, Spurs have won just 2 games, drawn 3 and lost 5. We were also thrashed in the North London derby and humiliated in a 5-1 FA Cup semi-final defeat at Wembley against Chelsea. That current league form ranks Spurs in 16th place, a point behind Blackburn and Bolton who coincidentally are the next two teams we face. 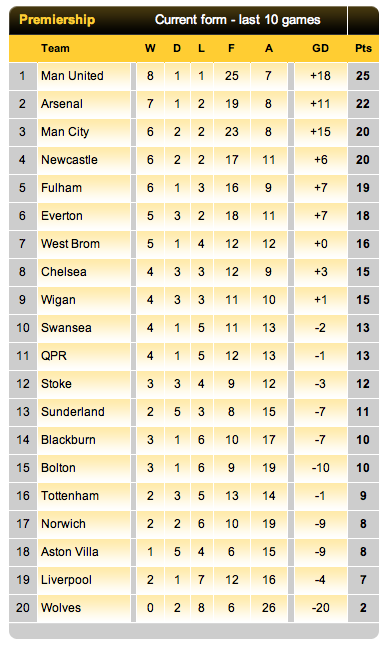 On that form it’s going to be a real challenge to make 5th place, let alone 4th. What does England manager-elect Redknapp have to say in his defence? You might think that as manager he was actually responsible for the formation and tactics and could perhaps make changes if it wasn’t working? “We need to win x games”. That seems to be a recurring quote from Harry. You don’t need to be a master tactician or even a mathematician to work that one out. Fortunately The FA are all set to come to the rescue and pay to ‘release’ Harry before he suffers the ignominy of a sacking. So it’s ‘Harry for England’ and COME ON YOU SPURS! 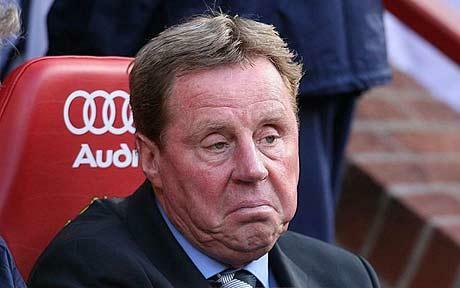 This entry was posted in General, Rant and tagged Harry Redknapp, Spurs, THFC, Tottenham Hotspur by djh. Bookmark the permalink.